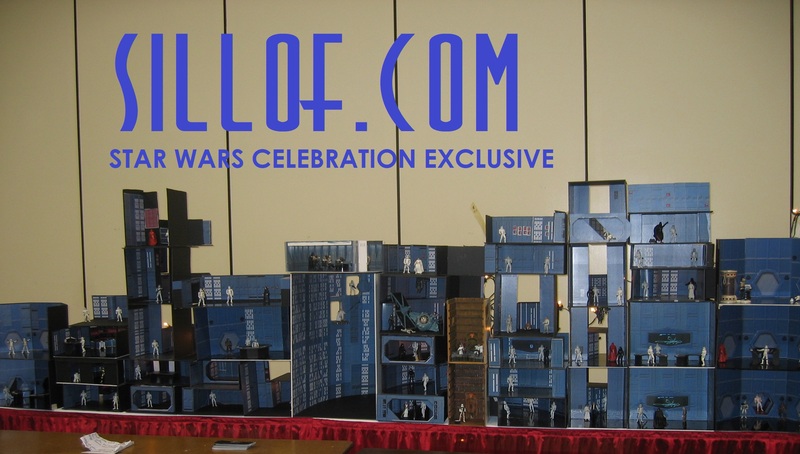 So 17 years ago I wandered into something called the Diorama Workshop at Star Wars Celebration 2. 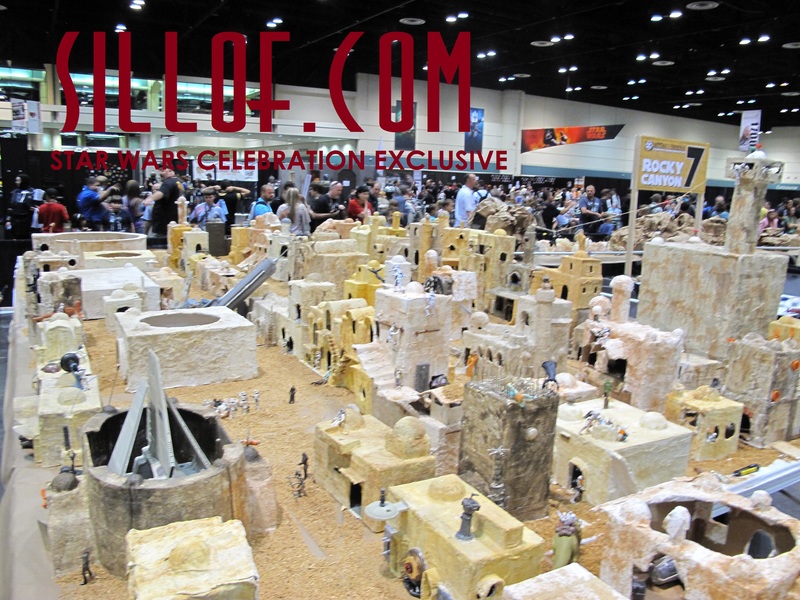 Little did I know that I would spend the entire convention in a small room making a massive diorama of Mos Eisley. Also, I did not realize that I would meet Frank Diorio, a man that I have now worked with know at 8 Star Wars Celebrations. Frank runs Dioramaworkshop.com. 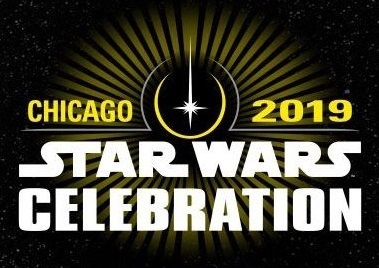 If you don’t know what a Star Wars Celebration it is the name of the official Star Wars conventions that occur every 2-3 years. At the workshops fans come and build a small piece of a diorama that will eventually combine to make a massive scene from a film. It is all free and whatever you make you get to keep and take home. We have built Mos Eisley, the Death Star, Endor, Hoth, Tatooine, Bespin, and the Death Star surface with a Hot Wheels race track down the trench. You can learn more about some of the past celebrations I have helped with here. 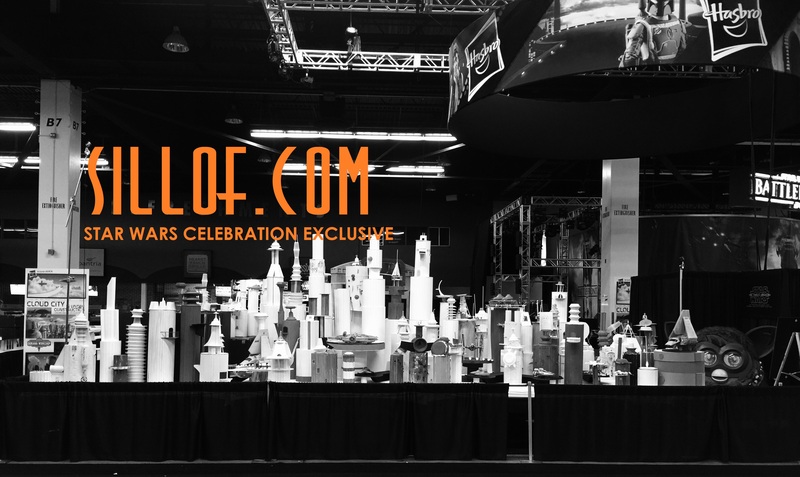 This years Celebration is in Chicago, IL on April 11-15 at McCormick Place. We will be back again for one of the largest and longest running events at the Celebrations. 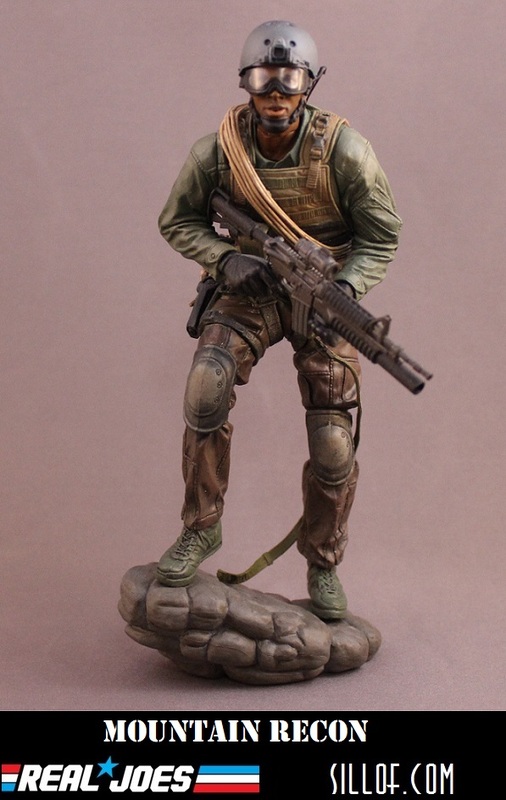 Over the years we have partnered with companies like Hasbro, Mattel, Smooth-on, Aves, Sculpey and more. This year we are going in a whole new direction and partnering with Fantasy Flight Games, makers of such awesome products as X-Wing, Imperial Assault, and Legion. Our entire build is designed in 1/48 scale and will be the Battle of Scarif from Rogue One. 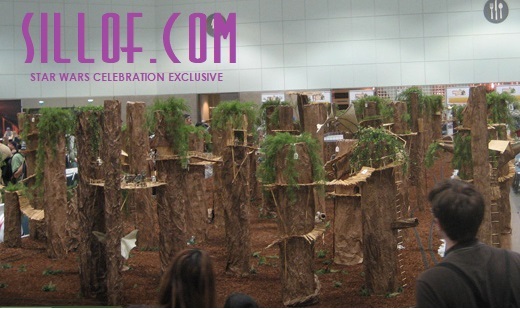 Guests will be able to make beach, jungle, and water scenes and custom create trees, bunkers, and more. For the last 4 conventions I have also been running what we call Master Classes. This years I will be free running daily classes on how to paint miniatures. 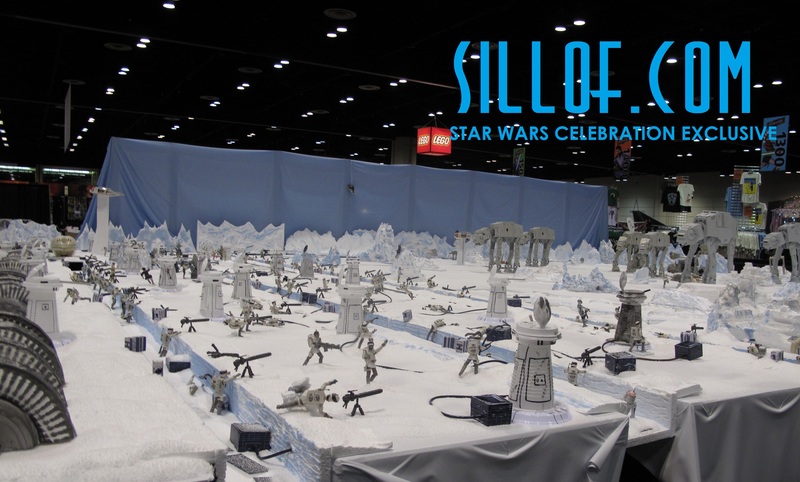 So if you are going to be at Star Wars Celebration be sure to stop by and sign up for a slot as they can fill up quickly. We have an amazing team of crew who have been with us as far back as C4 and on. Everyone has a role and is putting in a ton of work before the show. 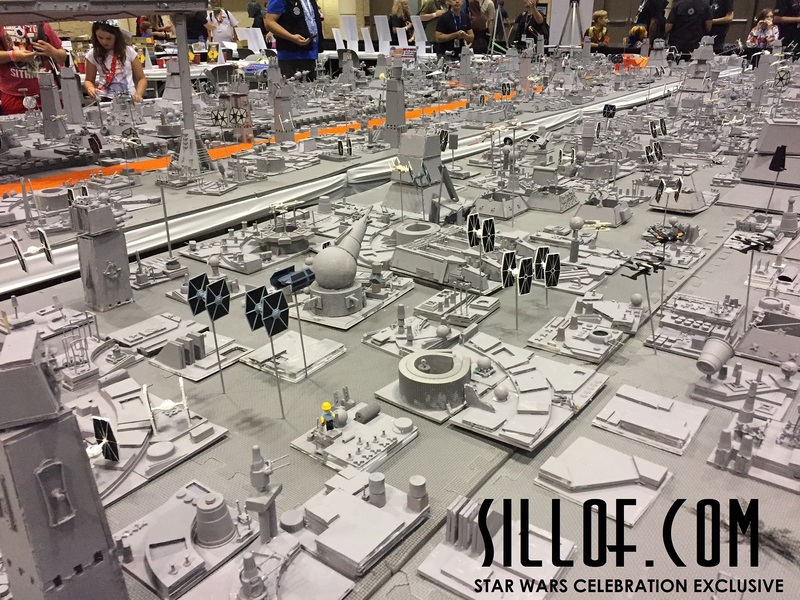 My contributions will include making a number of the most memorable scenes from Rogue One in miniature form as well as creating numerous small easter egg scenes to try and spot. Be sure to follow me on Instagram and Twitter as I have a lot of fun sunrises in store for the show and possibly some giveaways for subscribers. If you would like to volunteer or keep up with all our announcements head over to Dioramaworkshop.com to keep up to date with all the videos Frank will be posting. Over the years I have had many amazing creative opportunities. More than a few have come because of working with Patton Oswalt. I first heard Patton mention me in a tweet years ago and then later in an Empire magazine article while promoting the film Young Adult. The most flattering mention was when he wrote a post about me on his blog. It is quite surreal when someone who’s work you enjoy so much expresses an appreciation of what you do. 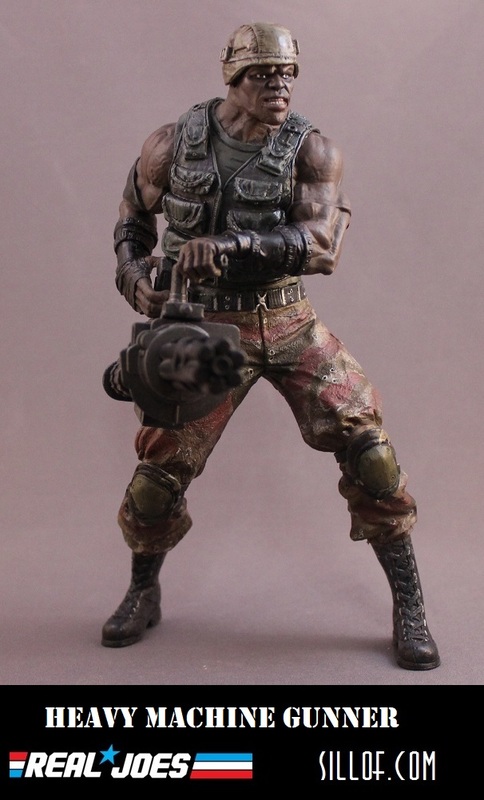 Patton first commissioned me to create a line of figures where I imagined a world where Star Wars had been directed by the famous exploitation filmmaker Russ Meyer and all the characters would have their genders reversed. The line was called “Faster Empire. Strike! Strike!” Next, he hired me to create a line where Star Wars existed in a Mad Max-esque post-apocalyptic world. The line was called “Road Wars”. We had kicked around a few ideas of what to do next and then Patton threw down the gauntlet and said, “What if you did Wes Anderson does Star Wars”. I was simultaneously terrified and excited. I have found that my best work comes when I am intimidated by the idea of the commission. Over the years I have never done a line that has been done by someone else first. I have tackled Samurai, WW2, Steampunk, Western, and Serials. But, to try to combine my favorite films with one of my favorite directors of all time was a quite intimidating. This fact was compounded by the fact that Wes Anderson has one of the most distinctive filmmaking styles of all time. This was going to be a real challenge. Many times, when people do these kinds of creations they “mash” things together. That has never been my style and I knew I did not want to simply have the father Royal Tenebaum dressed in black like Darth Vader or do a Bill Murray as Obi Wan. I have worked as a production designer and art director on films, so I decided to tackle this project the way I would if I was lucky enough to work on a Wes Anderson film. I started with a 7-page script that I wrote that allowed me to create a complete narrative with the archetypal characters of Star Wars but in a Wes Anderson style world and story. Once I worked through who my characters where I began to design their look with heavy research on the recurring looks of Wes Anderson costumes but with subtle nods to the Star Wars inspirational characters and colors but muted palette. Patton always likes me to create vehicles, which I did for this line. But I counter proposed an additional idea to Patton that would expand the world I was creating. 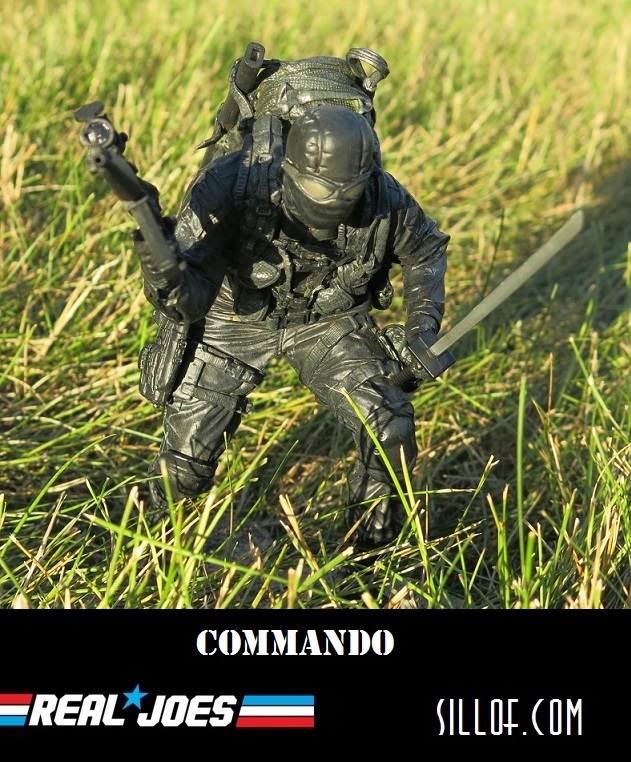 I pitched the idea of creating a miniature set for the figures to occupy. The sets are as much a character in Wes Anderson films as anyone and his love of miniatures made the idea even more appealing. Patton jumped at the notion and I was off. 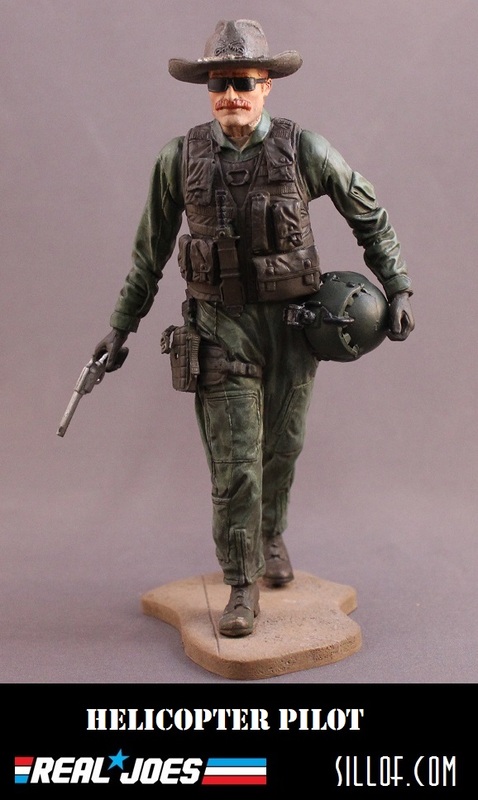 The line consists of 11 7′ scale custom figures, a three story diorama, a scratch build truck, and an original movie trailer. If you are looking for something to give or get for the holidays I will offering 15% off everything on the Sale Page and FREE SHIPPING Friday 11-23-18 to Monday 11-26-18. All transactions will need to be completed by midnight EST on 11-26-18 to be eligible. Sold on a first come, first serve basis. While supplies last, each item is a one of kind hand made creations, no duplicates made. My love and admiration for Frank Herbert’s masterpiece Dune is evident by now. I am beyond excited to see Denis Villeneuve’s new adaptation. The recent editions of Mission Impossible’s Rebecca Ferguson and Timothée Chalamet from Call Me By Your Name only continue to increase my anticipation. As I stated before with this version I tried to ignore as many influences from previous Dune works and approach it as if I was a production designer on my own version of Dune. I tried to create 4 distinct worlds with cohesive aesthetics and color schemes. 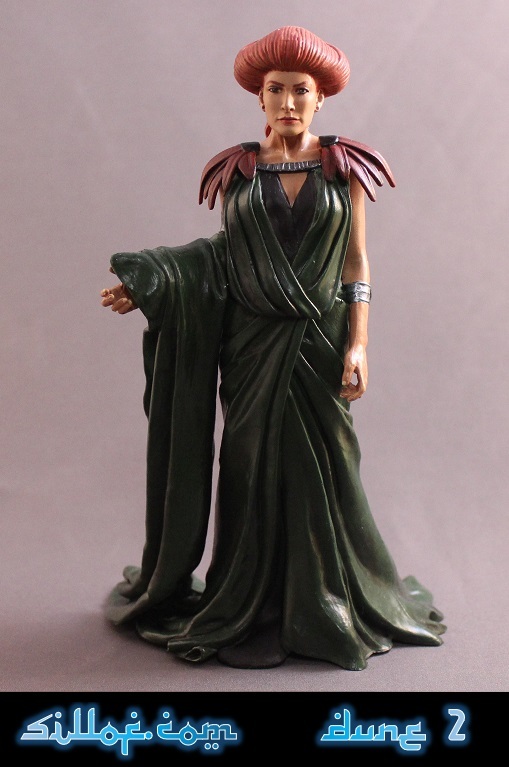 The next installment in my Dune 2.0 line is that of House Corrino. For this line I tried to incorporate the house symbol of the lion and their classic gold embellishments. I added the color purple as it is the most regal. I took inspiration from the Italian Renaissance and later nobility with the gilded and ornate filigree. 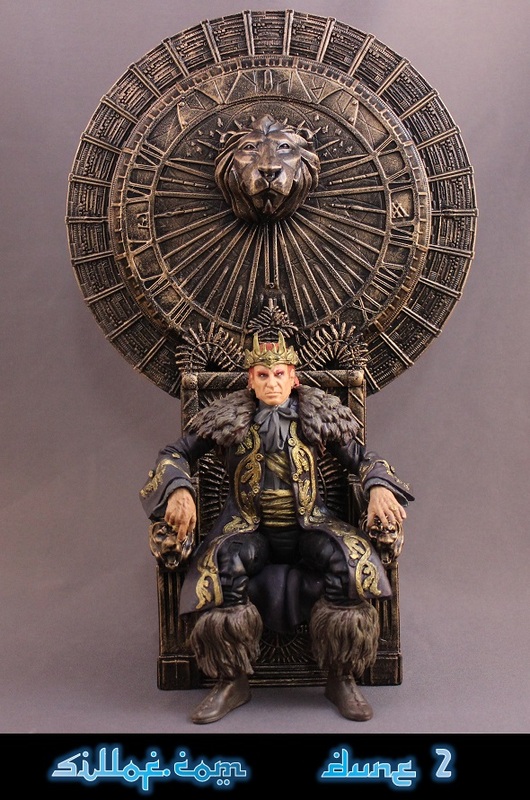 I created the Imperial throne as it seemed the most imposing way to show the power of the Padishah Emperor. I had never seen a design of the Sardaukar the blended the right level of regal honor guard and fear inducing shock troops. For the Bene Gesserit I tried to create certain symbols and imagery that I could repeat on the Reverend Mother and Alia Atreides. I added the small touch of coloring the jewels on their vestments to the appropriate house, purple for Corrino and green for Attriedes. 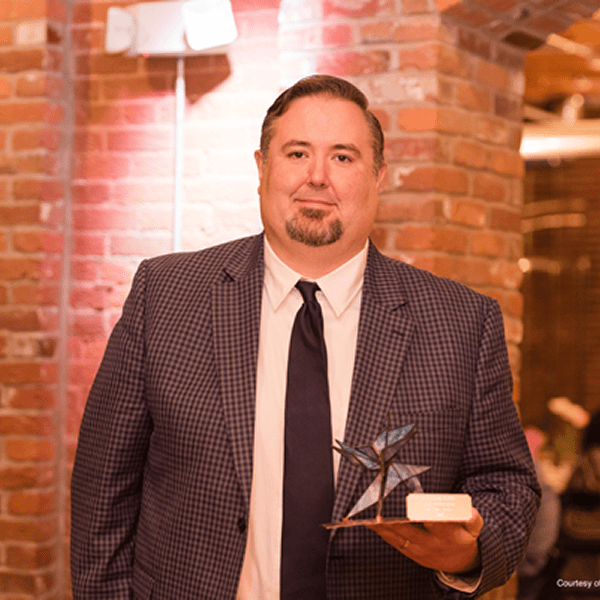 Last week I was honored to be awarded the Nickel Plate Arts District Arts Educator of the Year Award. It was the first time they gave such an award. It was in recognition for my efforts in creating the Olio Road Productions company. Each year I help students at Hamilton Southeastern High School create a completely original, student made, feature length film. It was a great honor to attend the gala and to share the evening with my family and peers. Here is the press release about the award. I am a huge fan of Frank Herbert’s classic science fiction epic Dune. It is easily one of my top 5 favorite books of all time. I have a soft spot for David Lnych’s film adaptation, mostly from an ambition and production design perspective. I am not really a fan of the SyFy channels version, It is the opposite of Lynch’s version, while it is more faithful to the book it lacks the grandeur and design of its big screen counterpart. For years the property has languished in development limbo bouncing around and occasionally having some progress, as with Peter Berg being attached for a while, but never moving forward. We briefly got to see what Alejandro Jodorowsky’s version could have been in the amazing documentary Jodorowsky’s Dune. But now the film seems to be picking up steam under the direction of one of my favorite directors working today, Denis Villeneuve. Villeneuve has made Sicario, Arrival, and Blade Runner 2049. I could not pick a better director who has the limitless visual potential and the directing chops to handle the massive story and also deliver great characters. 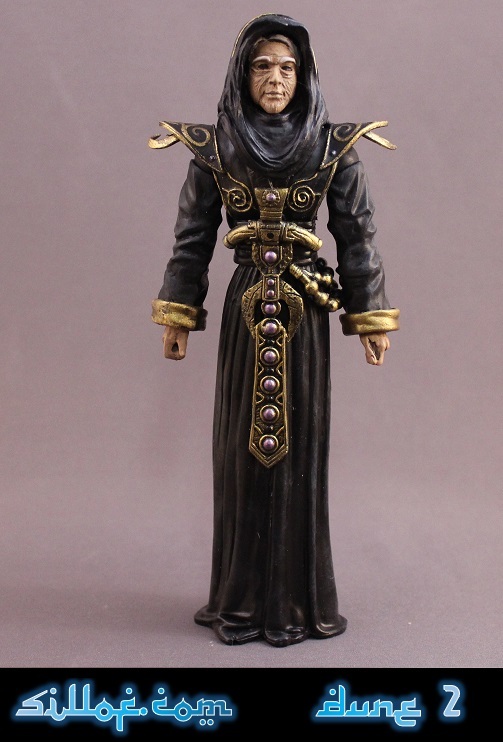 Sometime around 2004 I created a line of 20 classic Dune custom action figures. The set was an attempt by me to disregard any visual influence from any movie, video game, or other source and solely use what I envisioned as I read Herbert’s literary descriptions on the page. 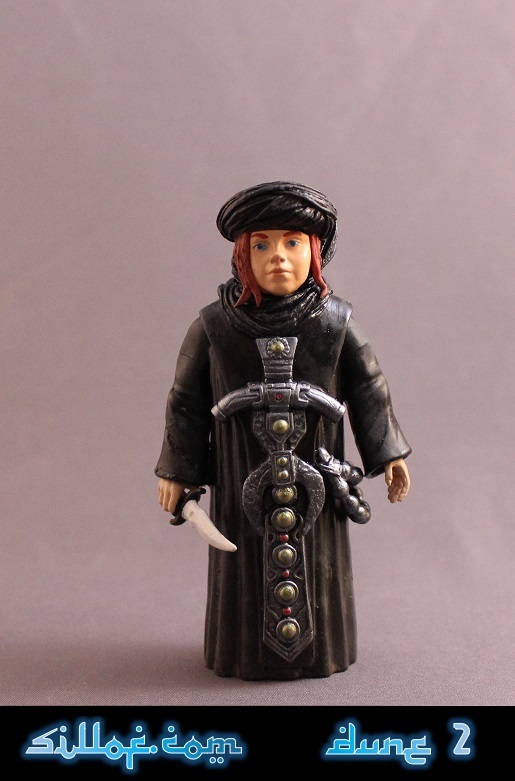 The entire set was purchased for display in a Dune collection in Europe years ago. Sometime around 2010 I began to do a 2nd attempt at redesigning Dune. 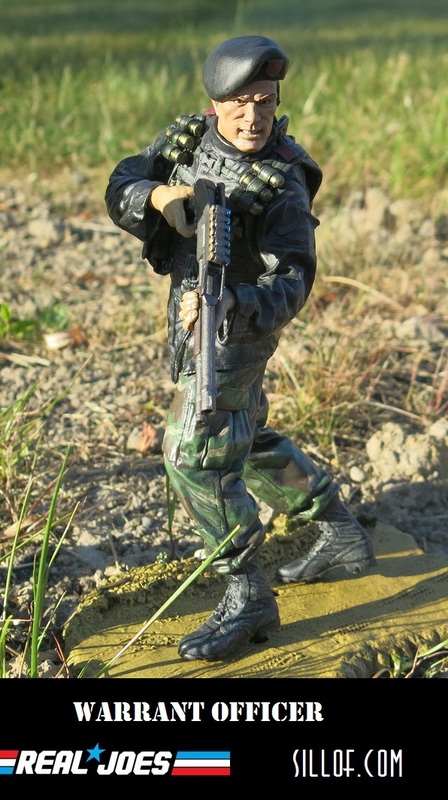 The figures have been done for quite some time even though I have never posted them. I was content to just admire them on my shelf. 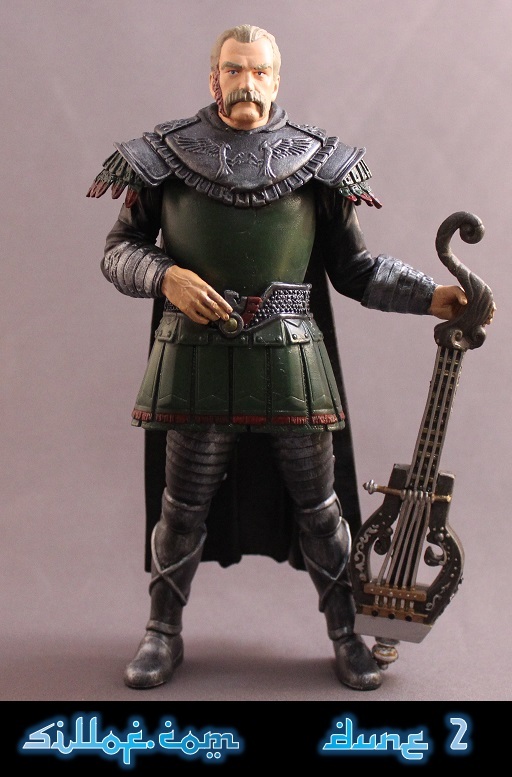 My excitement for the new Villeneuve Dune has encouraged me to share the figures. With this version I tried to ignore as many influences from previous Dune works and approach it as if I was a production designer on my own version of Dune. I tried to create 4 distinct worlds with cohesive aesthetics and color schemes. First up is House Atreides. I took an influence from the Greek sounding aspect and history of the house name. I tried to incorporated classic Greek elements and thought it would subconsciously add elements of antiquity and democracy. I also used the house symbol of the hawk to add bird elements to each character. Finally I used the classic green and red color scheme to set their look apart. Lady Jessica has the classic Greek toga, with the imperial epaulets of bird feathers. 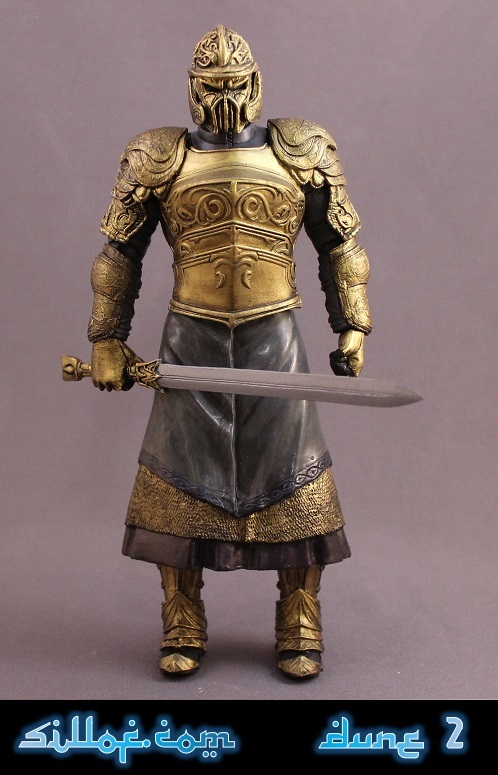 Gurney Halleck has a kind of Roman/medieval armor look on the frame of a older soldier. 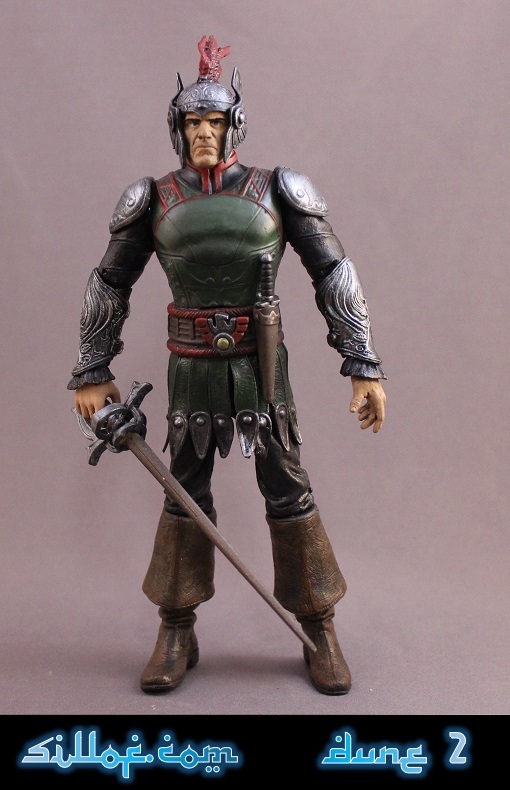 Duncan Idaho is a character that has never really fully been captured by his literary description and the title of “Swordmaster” I went for a kind of space, swashbuckling, hoplite. Alia is in the vestments of the Bene Gesserit. I wanted all my vestments to have similar look and have a very ceremonial aspect to them. I have been keeping very busy with some side projects and film work. 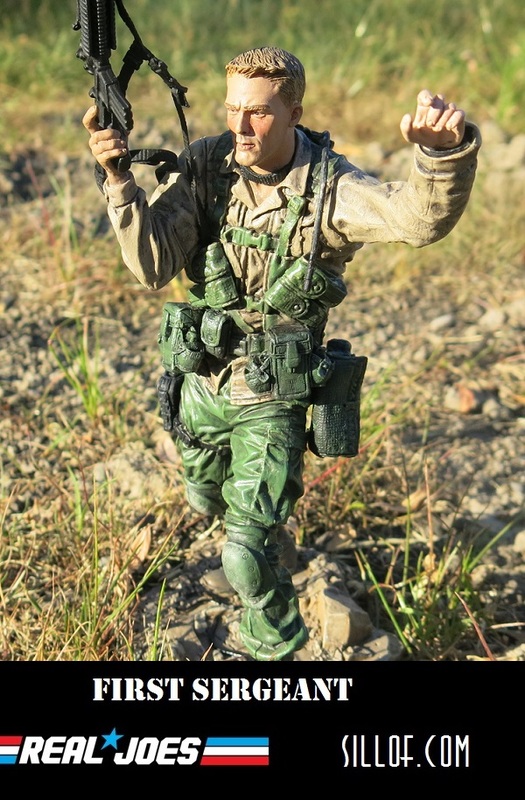 I wanted to give you an update with some more figures from the Real Joes line. 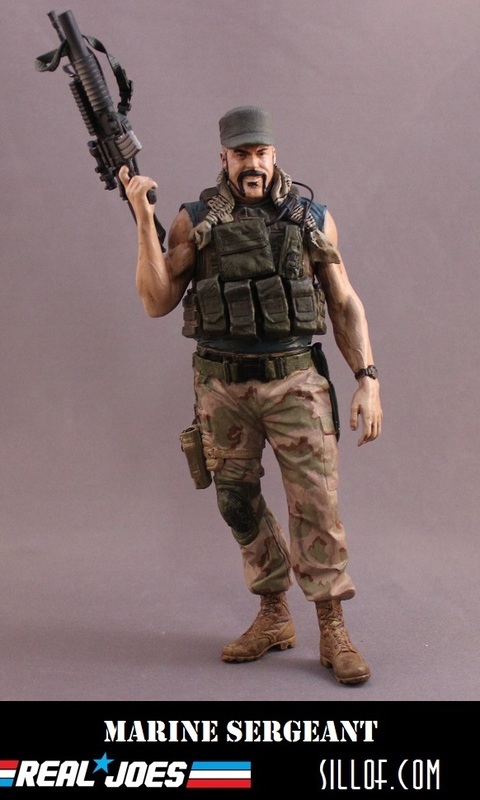 The REAL JOES line are now for sale individually $300 per figure. They will be sold on a 1st come 1st serve basis. 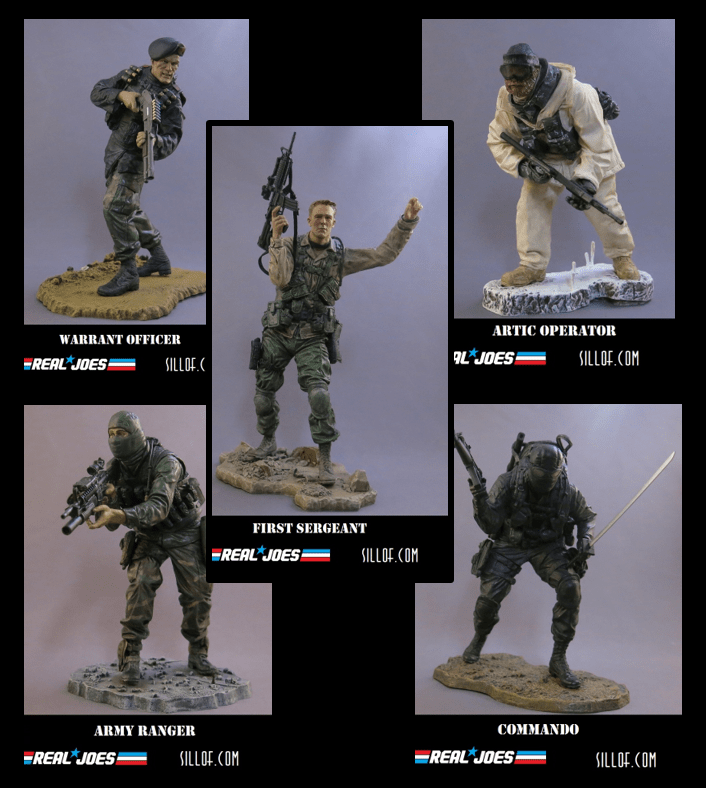 These are one of kind items, they have no duplicates or molds, they were hand crafted with the most expensive professional sculpting materials and paints. This is a chance to own a piece of pop culture history. They have been featured in Entertainment Weekly, MTV, Star Wars.com, the Star Wars Blog, Star Wars Insider, at the Star Wars celebrations, and have even made it to the #1 spot on the front page of Reddit numerous times. 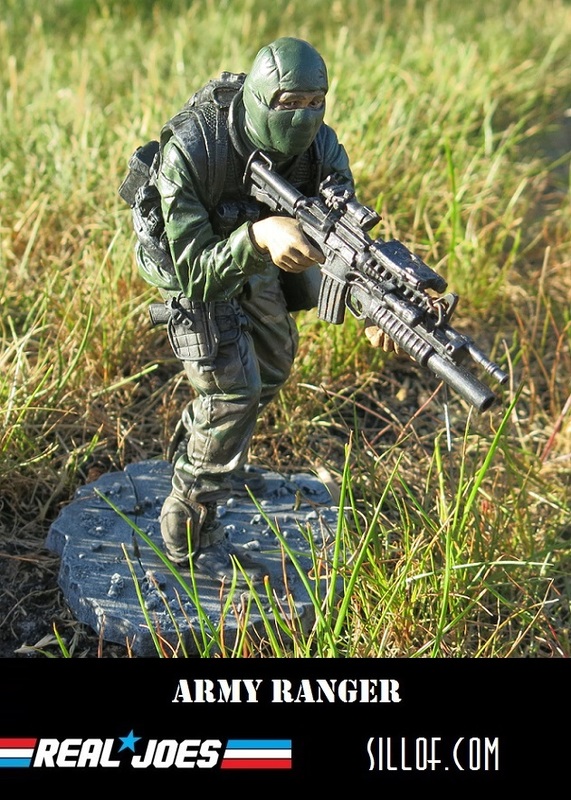 These items would be great to buy for self to add to a unique collection or as gift for a loved one. These unique creations were the first of each of their kind. The mash ups they represent had never been done before and have since inspired countless imitations and other incarnations from toy companies, to traditional artists drawings, to cosplayers and whole conventions. I hope my work can find its way into the hands and homes of fans who will appreciate them.